View homes in Highland Mills or read more about this small but vibrant community below. Homes for sale in this community, benefit in large part, from large treed lots and mountain views. At the lower end of the market you find spacious older homes, in a variety of styles from colonial to modern. At the top end of the market you'll find new and newer construction homes with top of the line features, on beautiful secluded lots. 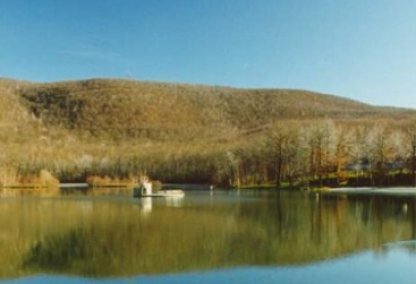 Highland Mills real estate is beautifully situated against the backdrop of the Schunemunk Mountain, a popular recreation and hiking area. The community is home to the award-winning Palaia Winery, which offers a full entertainment calendar and tasting room in their recently renovated 200-year old bank barn. Services in the community include a public library; Brickley Field, a small play area and ball field located on Hunter Street; and the Earl Reservoir. In this park residents can enjoy a swimming area with a sandy beach, a diving platform, paddle boats and fishing. Highland Mills homes are located minutes from the famous Woodbury Commons Outlet mall and adjacent to the New York State Thruway (Interstate 87), which makes them convenient for commuters. There is also a commuter bus service and the Metro North Harriman station is close by. If you're looking for a home in Highland Mills get in touch or call us on 845-781-8100 today.